Click the link above and scroll down for the portal than includes 600,000 biographies and brings users face to face with historical figures and today’s most studied newsmakers via videos, audios and images. 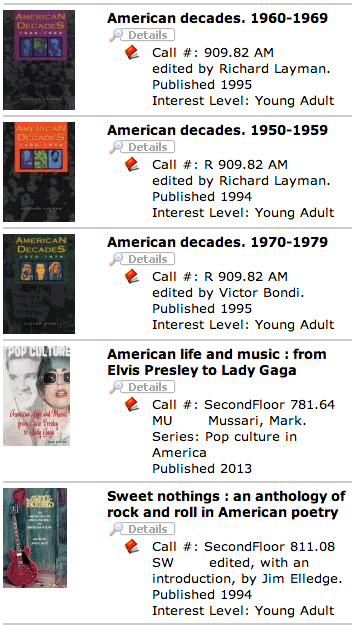 Click the image below to go to our library catalog. 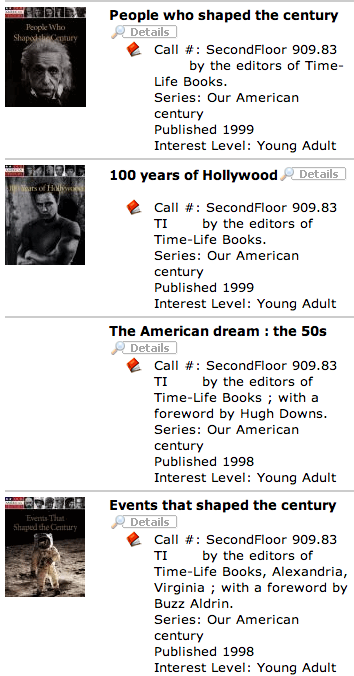 Type your keywords into the search bar to find books on your subject. 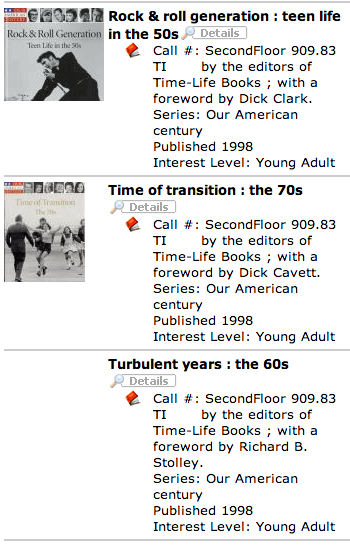 The books in this resource list are about the decades in general. 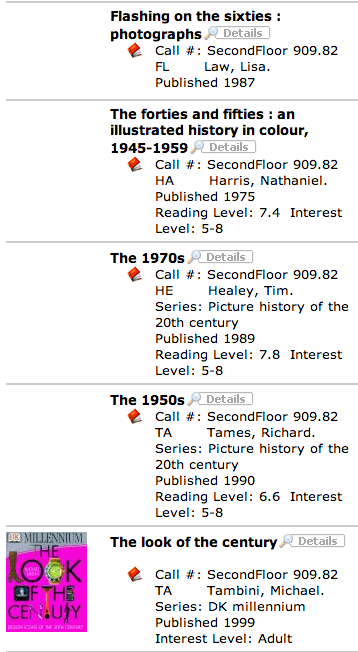 By looking through the index of each book you can find information related to your topic. Try these websites to find free information about your subject online.